The worry often seems to emerge out of nowhere, or from the stillness of meditation itself. The bored mind, in uncharted waters stalks its next dopamine fix: “This is a problem… I should do something.” This rarely ends well. In fact, this kind of bored mind is not particularly good at coming up with solutions. Solutions often come from somewhere else entirely, some deep unknowable unconscious room… [or other more appropriate esoteric metaphor]. 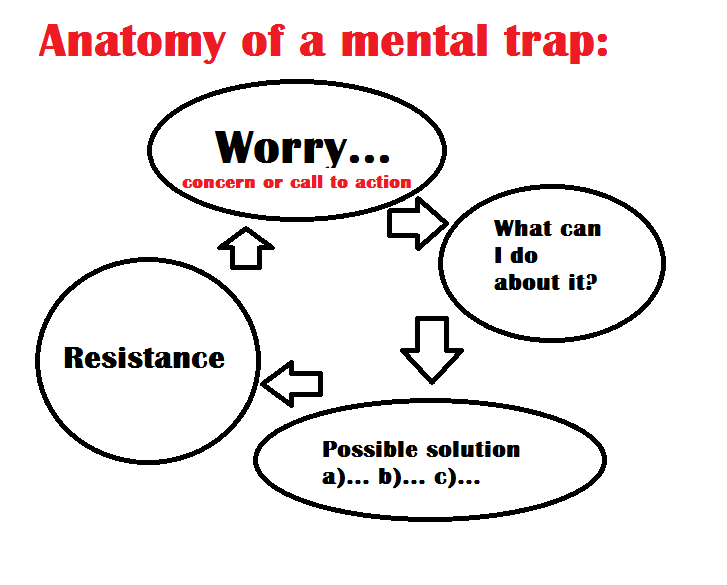 Anyway, with meditation, the idea is to go on dropping out of these traps, right? So they emerge and we recognise them and then go back to whatever practice we were attempting. We go back to focusing on our breathing or whatever. But sometimes there is actually a great opportunity here to deepen awareness, to deepen practice and to go meta on this stuff. Sometimes it happens accidentally. The conscious/beta mind is being dropped, the repetitive patterns of tension/traps are recognised and then we catch a glimpse of a bigger picture, of a bigger pattern. The normal conscious beta mind can’t really do this, you need an altered state. But when you do get a glimpse here it is a beautiful and rare moment of clarity, of seeing the forest for the trees, of realising that most of the time we are just looking at a couple of pixels out of a massive screen and interpreting the world from a ridiculously narrow perspective. 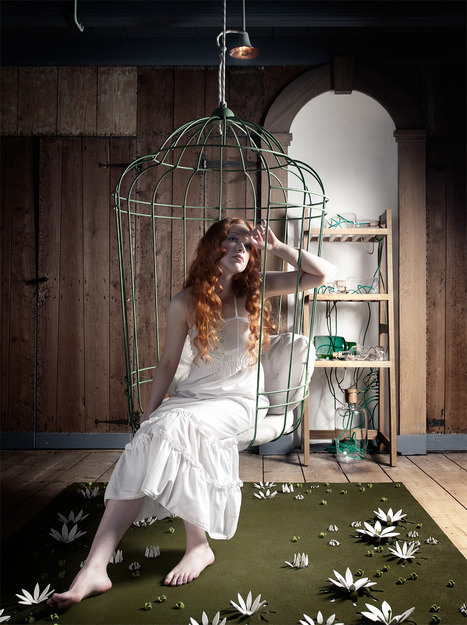 It’s interesting that it is the traps themselves that often provide a gateway for this kind of experience. 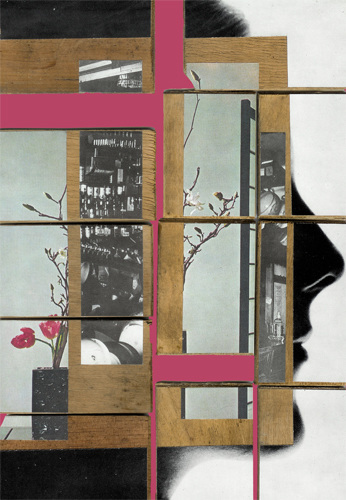 The tension they create – the tension of contradiction – provides a platform for noticing… and a potentially transformative space. A few days ago I was having an episode of crazy – of not feeling good enough – of all kinds of ridiculous internal pressures. That happens… and often there is this pressure to be AMAZING – to be special and wonderful and outstanding and awesome and all of these over-used superlatives. We overcompensate for not feeling good enough by reaching for the stars (which has often struck me as an ironically air-grasping metaphor). 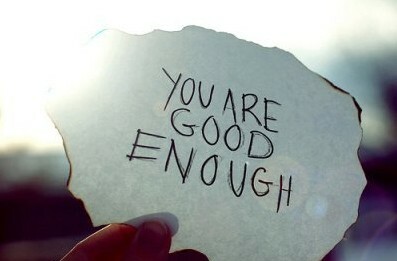 Affirmations usually favor big words, but perhaps there is a quiet power in small humble statements: I’m good enough. Everything’s okay. Relax. 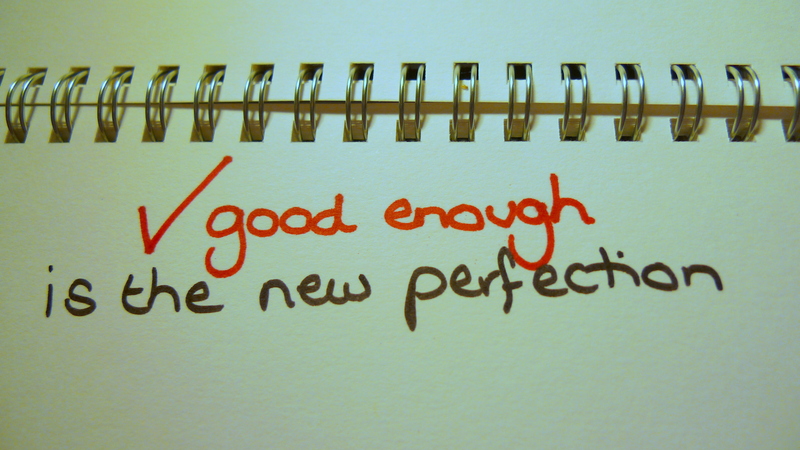 “I’m good enough” is digestible. It’s believable. It’s no great commitment, no great pressure. It’s acceptable, and it’s honest. There’s nothing wrong with being a good-enough mother, a good-enough daughter, or granddaughter or student or academic or writer or any of the other labels people tend to accumulate in their short lives. It is a calm, contented centre in an otherwise chaotic storm of great vulnerability, expectations and obligations. 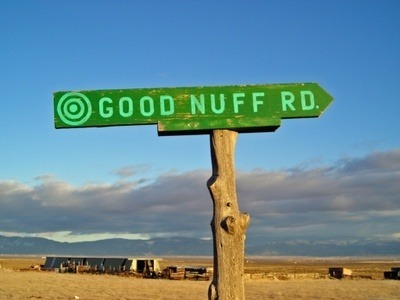 It’s an in-between road that is not a dead-end or wild goose-chase shortcut. It’s just a simple breath of fresh air. I’m good… enough. It’s an invitation to let go. 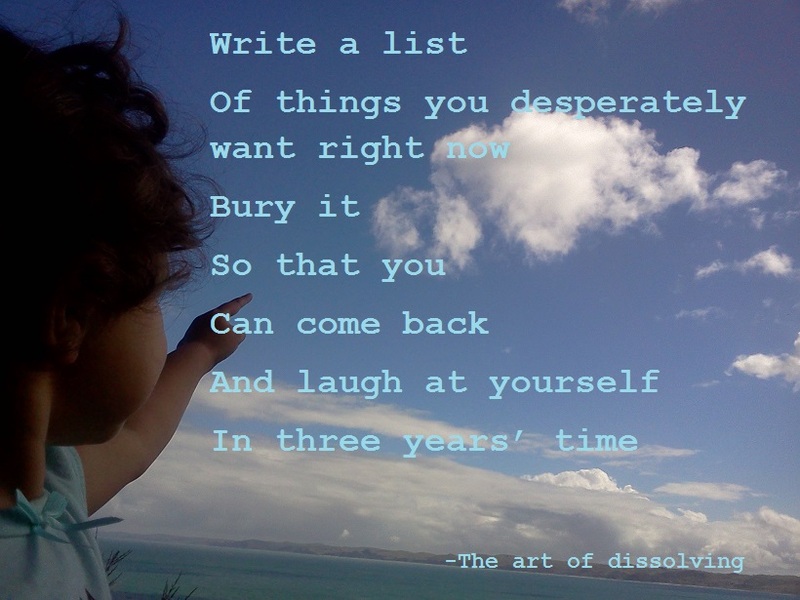 This is a time of letting go. It has been a frustrating and transformative couple of years. Today is about endings, about letting go, mourning the death of the old paradigm and making space… and resting… and allowing the new to arise. Today is a good time for acceptance, for allowing, for letting things be. 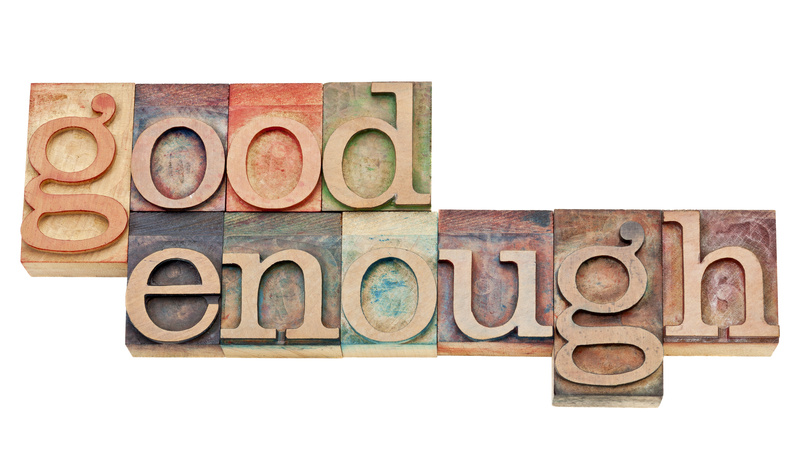 Today, “good enough” is enough… and probably, tomorrow it will be too. I don’t quite know how this one snuck up on me, although it does make sense considering Neptune is so elusive and my natal Chiron is in the 12th house of hidden and subconscious things. Perhaps I should have noticed when the stability I had been enjoying since my Saturn Return seemingly morphed into what feels like several months of PMS. I was feeling SO emotional, but couldn’t cry. I even resorted to watching the sad parts of kids movies and Thai life insurance ads (the saddest ever) just to force the tears to flow. are unimportant, or that your unhappiness is or was unreal. the resources to cope with the dark while enjoying the light. Despite being a glass-half-full person already, I could make some more ground with forgiving life. Faith is something I found, as a child, out of desperation. I was raised as an atheist, and got lost in the forest when I was eleven and prayed to every god I had ever heard of. I found Jesus at camp a few months later and converted to Christianity, then dropped it in favor of polytheistic paganism in my teens when I needed magic the most. Gradually, I let that go too, as I found my own power and needed gods and goddesses less and less. My spirituality evolved into an experiential one, moment to moment, interconnected with everything. The beliefs I have now, I am less attached to, they are lenses: tools for gaining clarity, wisdom and understanding… and yet, over the past few months I have felt this tugging absence of faith. Feeling confused about my life, anxious about not knowing what the hell I’m doing, I have been intellectualising too much – trying to think my way out of feelings of powerlessness. 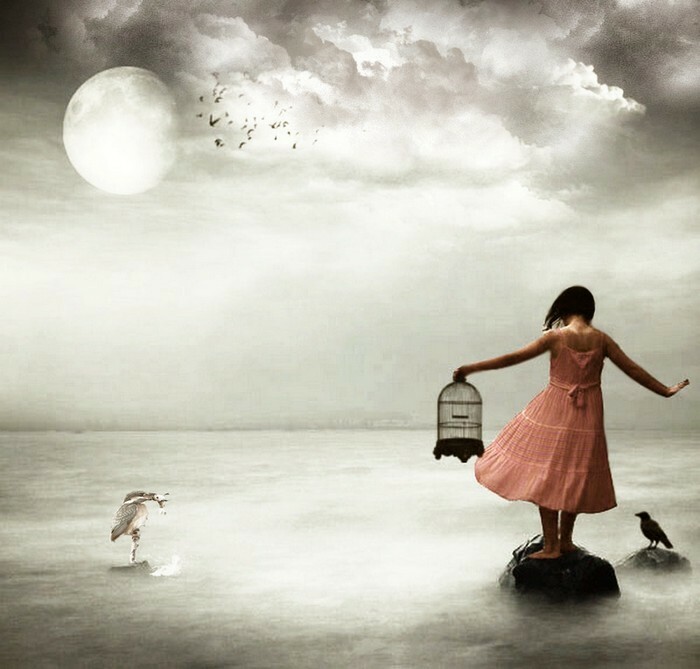 Feeling frustrated with Uranus on my Midheaven, squaring Pluto in my seventh house, I have been going around in circles into brick walls trying to figure out what to do about my ambitions and relationships… I have been getting stuck on “how?” – the impossible question, when one is walking in the dark. I have been willing myself to have faith. I have been trying… but I don’t think I can find faith in desperation anymore… I think I have to find it in letting go… in forgiving life. When I was fourteen I chose to write my school speech about forgiveness. It seemed like an important thing at the time, I remember a quote I found in my youth bible: “resentment is like a hot coal in the palm of your hand – the longer and tighter it is held, the deeper the burn, bitterness will leave a scar than even time cannot heal.” – That was when I was learning that forgiveness isn’t about letting someone/thing off the hook, it’s about releasing yourself from pain. I have been progressively seeking out and releasing pain from old wounds, releasing myself from depression, working towards forgiving specific people, but I haven’t yet framed it in terms of ‘forgiving life’. Life is hard and often painful; it’s complex and beautiful and joyful; it can be agonising. Life is full of injustices and unfairness, of vulnerability and betrayal, of being hurt, of fear and powerlessness. Life is a big thing to forgive. Neptune is all about dissolving, and combined with Chiron there is a great opportunity to both dissolve into pain and woundedness and to dissolve from it – to release it. Towards the end of my last Neptune transit I started writing a poetic journal: “The art of dissolving.” I think I will go back to that now, especially as Neptune is also opposing my Venus and I need a positive creative channel to avoid getting lost in a lower-Neptuanian ocean of spaced-out yearning. In these moments of unreasonable despair I will allow this emotion to come up and affirm the thought that is bringing in light and space right now: forgive life.